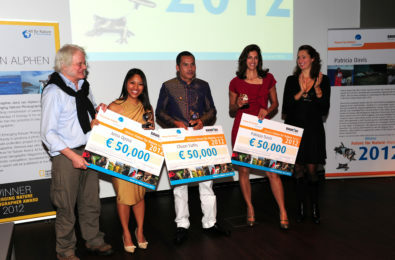 In 2012 Chuon Vuthy was one of the winners of the Future For Nature Award. 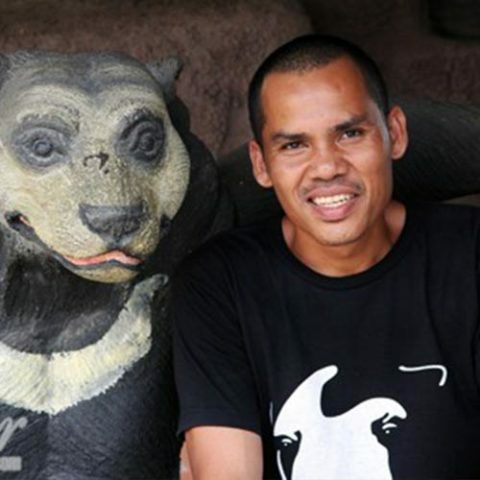 He is working as Cambodia Programme Manager for Free the Bears. Illegal hunting and trading on bears is, unfortunately, still going on. Young bears will end up in a restaurant for bear paw soup of caged as a tourist attraction. Chuon Vuthy is strongly motivated to stop this. When he was 18 years old he started working at Phnom Tamao Wildlife Rescue Centre. Having helped his family to take care for their cows and pigs since he was a young boy, he was curious to learn more about the wild animals that were being brought to the rescue centre after being confiscated from illegal hunters and traders. When Free the Bears started building the Cambodian Bear Sanctuary within the rescue centre to house growing numbers of bears, he was quickly singled out and employed to take care of the bears. An interview with Chuon can be found here. “With all of these projects, I hope that we will be able to ensure that the Future For Nature Award has a long-term impact in protecting Sun bears. It has certainly meant a busy year for me and my team, but I believe that if we can educate people and prevent more bears from being hunted in the wild, then we will have certainly have made the best use of this prize”. ‘Since March 2012 when I visited the Netherlands to accept the Future For Nature Award, things have been moving incredibly fast. We now have 123 bears at our sanctuary today, so construction has been non-stop to build new areas for the rescued bears. Part of the Future For Nature Award prize-money has been used to develop new education facilities at the sanctuary so that we can help Cambodian people to understand why we have to protect these bears in the wild, and make sure they never support the illegal wildlife trade.